Unstoppable Me! 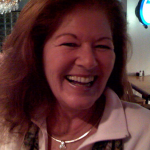 – by Dr. Wayne W. Dyer with Kristina Tracy is presented to us by Oceanhouse Media. In this Time of Thanksgiving we can add Dr. Dyer to our Gratitude List as he is a Gift! 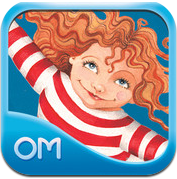 The book app is narrated by Dr. Dyer. Recommended ages are 4-8, I like to leave it up to the adults who know their kids best. I would have liked this book at 11 years old, I do now! This is a must have app for anyone who would want to convey this very important message of holding your beliefs rather than letting life change them and interfere with your greatness! It opens the dialogue door with your kids. Oceanhouse Media is a strong supporter of reading readiness as you can see in all of their book apps, Highlighted words, that speak when tapped, help to prepare kids for reading. A nice head start for our very early readers! This app is packed with a great deal more than we can video, including 10 very important life lessons and numerous questions at the end to help our kids begin to ponder these wonderful new facts for kids! The questions should be shared by teachers and parents to reinforce this lesson. Our kids are facing a whole new world – let’s give them all the tools we can! A Note from Mary – Tell our kids every day how beautiful, talented, amazing and wonderful They Are. They are Gifts – Help them Thrive!! This is the last of four Dr. Dyer kids books we will review in this time of Gratitude. We will be watching for more! This is a must have App for Teachers, Parents, and anyone who loves kids! 3 of 10 Ways to Soar Through Life! Dialogue Opportunity for Parents and Teachers!